The Builders Supply Association of West Virginia established in 1913 is a fulltime, fully staffed trade association for the suppliers of the construction industry and their suppliers and contractors throughout West Virginia. 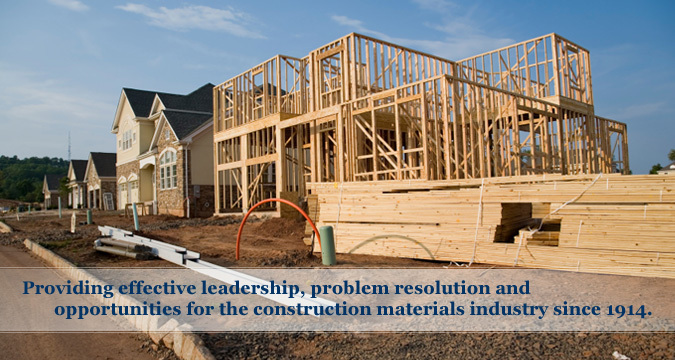 It’s our mission to provide the most effective leadership possible in the identification and resolution of problems and development of opportunities affecting the construction materials industry. The BSAWV membership is comprised of companies in the ready-mix concrete industry, cement industry, lumber companies and block and masonry companies, as well as building material supply company. On the national level, the BSA is a member of the National Ready Mix Concrete Association, as well as the National Lumber Building Material Association. As a member, you will also have representation at the state and federal levels of government that will keep you abreast of any changes that will affect your company and its operations. Further, the association also helps with educating the public about the industry.